Swansea City are back at the Liberty Stadium for the first in 2019 hoping to improve their home form against top six opposition as they welcome third-placed side Sheffield United to South Wales. After defeats to West Brom and Norwich – two sides in the top six – Graham Potter and his side will be hoping to fare better against another strong and talented side that’s hopeful of achieving promotion to the Premier League in May. In this article, we’ll take a deeper look into the Blades, their style of play and what threats they pose come 5.30pm on Saturday evening. 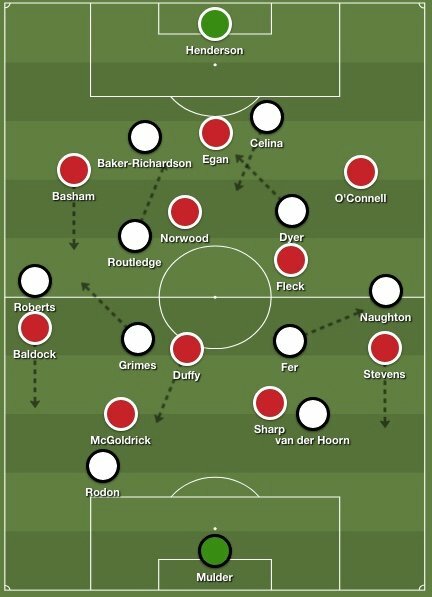 Sheffield United’s main formation is a back three and unlike the Swans, they use it to great effect using at least one centre-back to get further forward while a midfielder drops further back to cover. Strong in wide areas, they have good crosses as well as excellent passers throughout the team that allow them to pick out players in the opposition’s penalty area with good accuracy and speed. McGoldrick offers an aerial threat and Billy Sharp scores short-range goals inside the six-yard area so the Blades are a range of different qualities. With that in mind (United’s strength in wide areas) Connor Roberts and Kyle Naughton will need extra defensive support. With Routledge and Dyer often acting as inverted wingers, Leroy Fer and Matt Grimes may need to shift out to the flanks. Playing @ConnorRobs and @Knaughts88 at full back tomorrow is a no-brainer against a side so strong down the flanks. Routledge and Dyer have tucked inside in recent games so Fer and Grimes might need to spread out and assist the fullbacks defensively. Sheffield United are capable of playing at a very fast pace – making quick, one-touch and direct passes in key areas of the pitch. They’re very strong in wide areas as previously mentioned and therefore we’ll have to manage these wide areas well and look to either prevent the ball into wide areas for opportunities to cross or when they do, stop/block the cross. Joe Rodon and Mike van der Hoorn also have their work cut out against two strong strikers who both offer something different up top. Billy Sharp – more of a goal poacher and capable of getting into great positions in the 6 and 12-yard areas while McGoldrick – bigger and stronger can offer a threat in the air with his physical presence. Further back, Oliver Norwood has been one of their star players and has the highest number of key passes this season in the entire League and it would be sensible advice for the Swans to disrupt him and not allow him to dictate or hit direct balls from deep positions. Chris Wilder’s unique and quite fascinating tactical principle has been the use of ‘over-lapping centre-backs’ – simply instructing his defenders to bomb forward to support attacks. Instantly you might automatically assume that this would leave them vulnerable defensively and yet they’ve kept 3 clean sheets in recent weeks. Sheffield United pose a number of tactical dilemmas for Graham Potter and it’ll be another good test of his tactical nous. Previously, Potter has sometimes switched to a back three and this is one of those games where he might have considered it but surely he’d be put off using that system again having had no success with it so far this season. 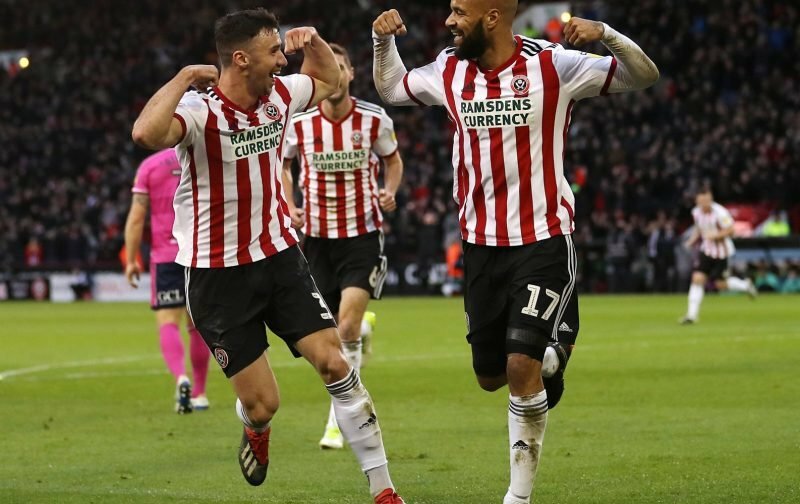 The Swans have shown to be vulnerable on the counter-attack and the Blades do pose that threat with the ability to get down the pitch quickly from deep positions. The likes of Fer and Grimes will need to work hard to help provide a solid midfield shape and of course, Joe Rodon and Mike van der Hoorn need to be wary of McGoldrick getting in between the pair of them for crosses as well as Billy Sharp finding himself unmarked at the far post to finish low crosses.